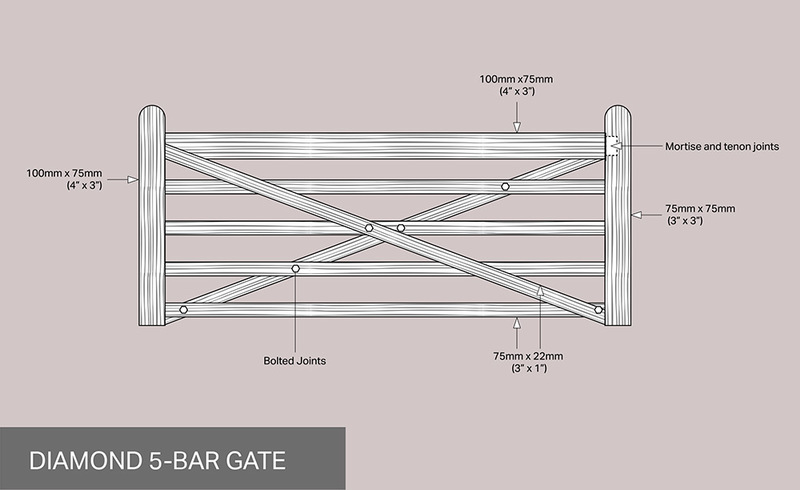 All our 5 bar Entrance gates are softwood, made from a 5ths kiln dried Redwood. These do require treatment before fitting and annually during their life. 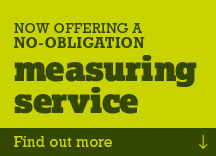 We would recommend and good quality solvent or Oil based treatment, suitable for external use. 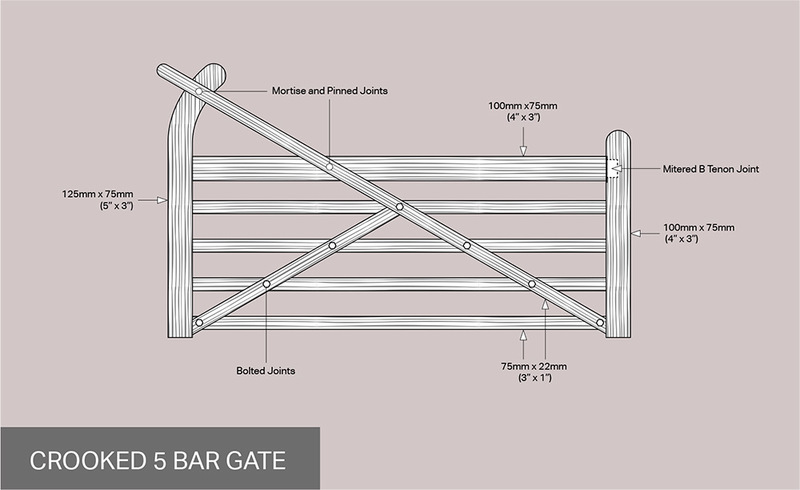 All our 5 bar Entrance gates are handmade, using selected timber by our in-house joiner. The hanging style and top rail are made from 100mm x 75mm timbers, and the Shutting style is made from 75mm x 75mm. The rails and braces are made from 75mm x 22mm, and are morticed and glued on the joints, and bolted together. 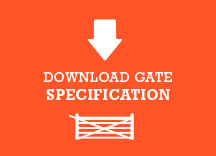 Each of our gates is custom made, and we can make our gates to any width up to a maximum of 3.6m (12ft). Diamond gates are made to a standard height of 1170mm (46 inches) to the top of the style, and 1067mm (42 inches) to the top Rail. Crooked Gates vary in height, as they are cut by hand. However, they finish around 1570mm (62 inches) to the top of the crook, and 1067mm (42 inches) to the top Rail. Custom styles can be manufactured within reason, but we do require a signature and full payment when ordering on all our gates.